Android offer multitask, you can manage different apps running at the same time. You can minimize different application for a time and then maximize them. If talk about the background process the multitasking is totally depended on the RAM , When we minimize the current running app it get store in RAM for temporarily. We usually kill applications by android multitasking options e.g. open multitasking option and just swipe right the application to kill them, but it is not a proper way of killing apps, these application remain in RAM. And use much memory and make your phone very slow. Many android users complain that their phone is lagging, so they usually do a factory reset to make their phone fast. Factory reset is not a proper way to make your phone fast and clean, you can lose your phones personalization and much data. 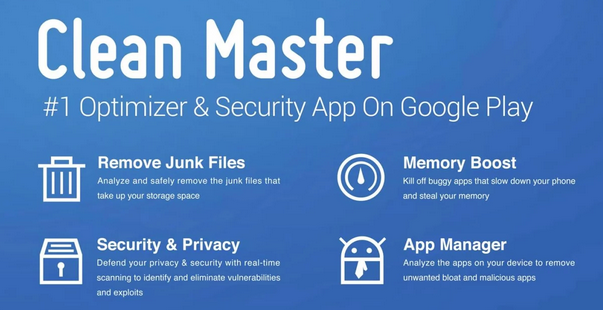 There are large number of utilities are available in Google Playstore , these clean your files stored internally in your phone , clean and delete junk files . Clean Master the application I found a best for enhance your phone speed. This utility also includes many other features like Junk files cleaning, Memory Boost, Antivirus and App manager. The world most downloaded utility tool for android, it protects your phone with malicious apps and vulnerabilities. It enhances your phone’s performance and speed by optimizing your device memory. There are several application that will remain in your phones cache despite of killing them, so they make your phone very slow. Clean Master app simply refresh your phones internal setup and make it fast. 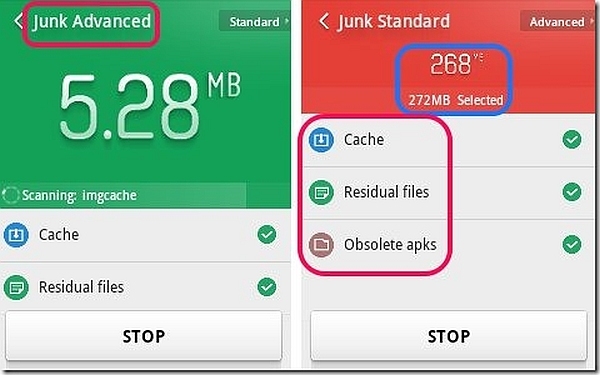 Read More >> Best Memory Android Cleaner Apps Revealed! Clean Master has a simple flat layout, through which user can navigate easily. Memory Boost: Delete temporary files that slow down your phone performance. Antivirus: Simply protect your phone for infected files, bugs. It runs in background and keep notifying you for viruses. Auto cleaning: You can also set a scheduled reminder for auto cleaner. The new features involves many other features like duplicate photo detection, simple delete the duplicated photo from gallery. Weather update, a widget is available.